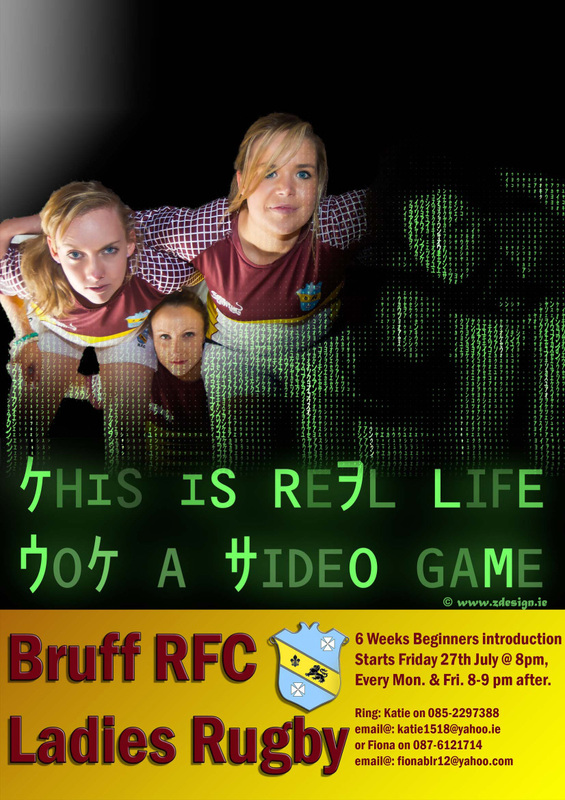 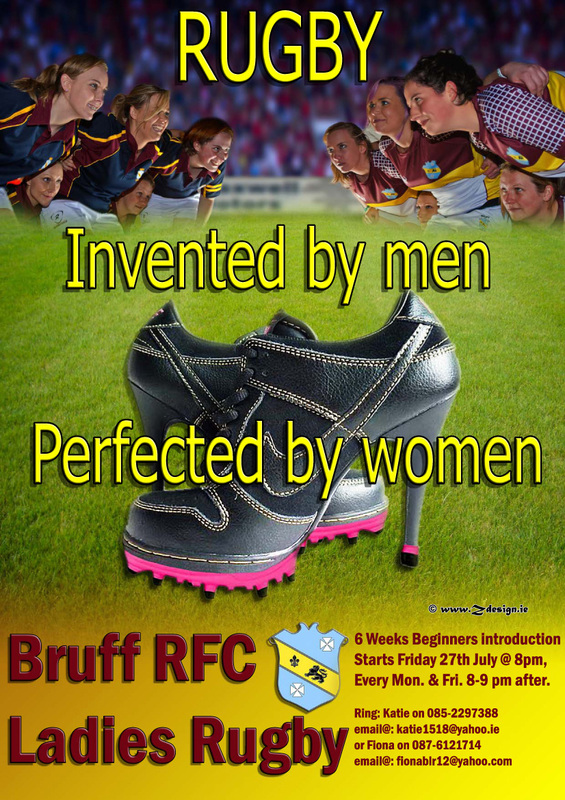 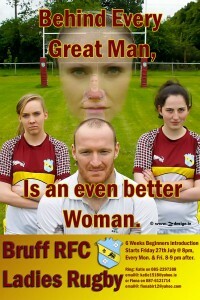 We have just completed a new poster campaign for the launch of Ladies Rugby at Bruff RFC. 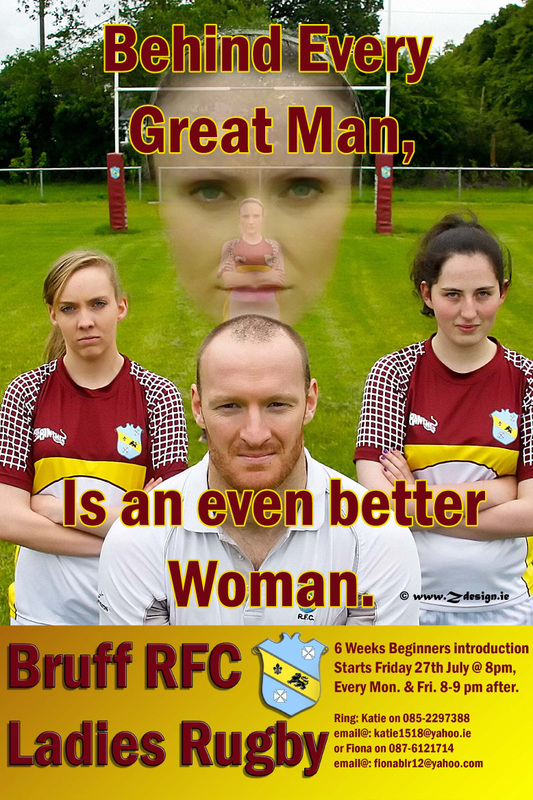 It involved a couple of Photoshoots, some Photoshop work and final agreement with the clients before printing and Getting the news out there with a launch video, facebook and twitter campaigns. 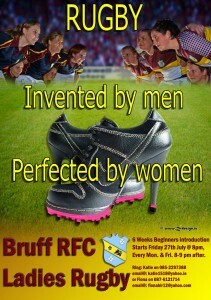 We are delighted to have been a part of the launch of what may well become a major development in the Munster Region.